We all need a break from city life sometimes, if even just for a few hours. Our day trip guides highlight all of the gems within a short drive from Boston. Here, we explore Northampton. 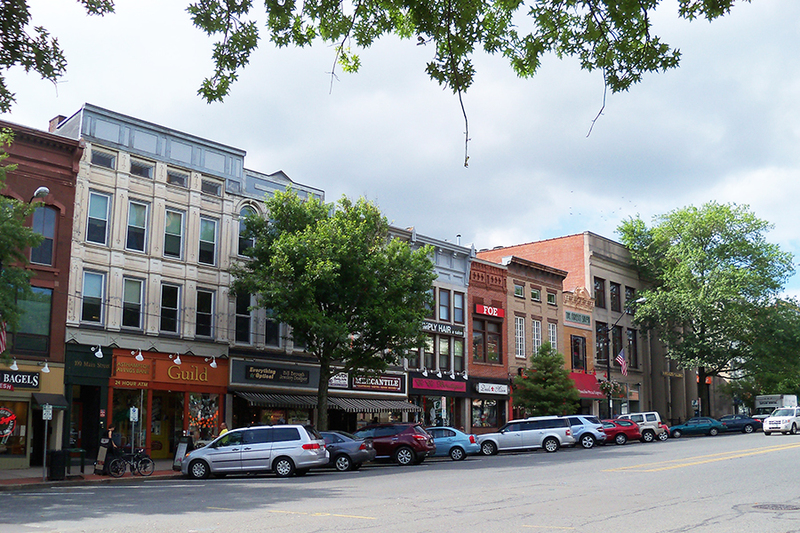 Northampton is known for its ever-charming shops, boutiques, galleries, and theaters. 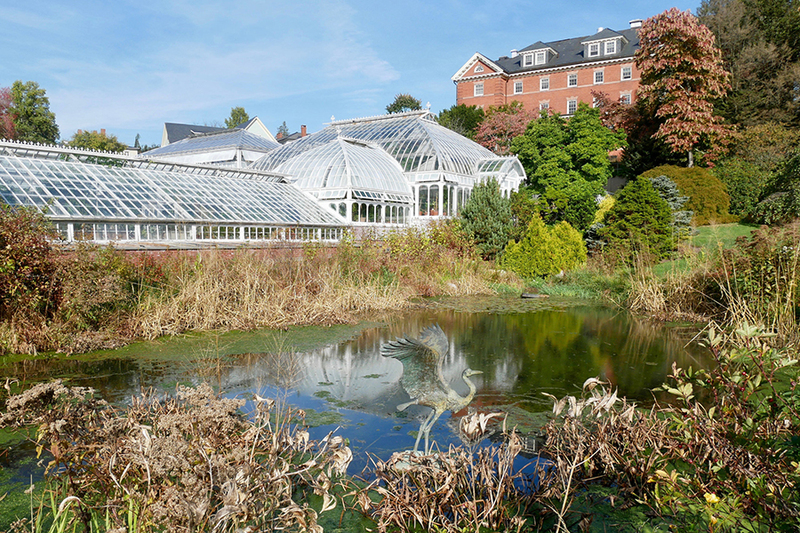 But before you get to exploring those, start your day at the Botanic Garden of Smith College. No matter the weather, the temperature inside the glass-enclosed Lyman Plant House & Conservatory is always balmy. As one of the few remaining 19th-century conservatories in the country, the structure houses more than 3,000 species of plants, from succulents to begonias. Spend an hour or two unwinding amongst leaves and petals, then break for brunch at Green Bean. The vegan- and vegetarian-friendly café serves breakfast all day. Go for the “kitchen sink” scramble (stuffed with bacon, veggies, goat cheese, and other good stuff) to fuel up for an afternoon of shopping. If you follow our itinerary to a T, you can spend the rest of the day slowly making your way down Main Street. Your first post-brunch stop? Faces. This legendary Northampton gift shop has been peddling quirky baubles, home goods, clothes, accessories, and other doodads since the 1980s. (It was thankfully was saved from closing in 2015.) Check out both floors, and don’t miss the sale section in the basement. 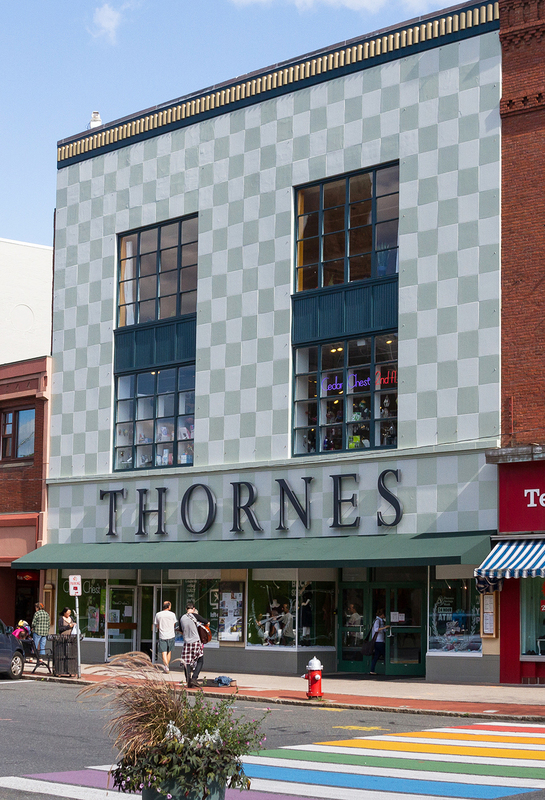 Across the street, there’s Thornes Marketplace, an indoor mall made up of dozens of independent shops. Peruse new titles at Booklink Booksellers and artisanal treats at Heavenly Chocolates, all while admiring the building’s pressed-tin ceilings and (sometimes creaky) hardwood floors. After you’ve browsed all four levels, head back out to Main Street and continue strolling east. While there are plenty of striking art gallery windows to admire on Main Street, there’s one place you must step inside to fully appreciate: R. Michelson Galleries. For one, it’s the largest commercial art gallery in Western Massachusetts. Beyond that, though, the place exhibits an impressive range of artists, both local and not, acclaimed and lesser-known. The gallery’s illustration section is a treat—on any given visit, you might glimpse art from children’s book artists like Mo Willems, Marc Brown, Maurice Sendak, Eric Carle, and many others. Just a few doors down from R. Michelson Galleries, you’ll find Essentials, an adorable little shop that primarily sells paper goods. It’s almost as if Rifle Paper Co. were a physical place, then infused with New England charm. There, find one-of-a-kind products including stationery, pins, magnets, rubber stamps, tote bags, and other goodies. Hear the bells of the shop door chime behind you as you join the sidewalk crowds once more. Cross the street at some point along your jaunt to reach Roz’s Place, a clothing store brimming with colorful vintage finds and funky newer pieces—think 1960s neoprene dresses, broken-in cowboy boots, and sparkling clip-on earrings. By now, it’s time to put down your shopping bags and sink your teeth into a burger. There are no wrong choices at Local Burger, a can’t-miss Northampton eatery. Choose from black angus or nearby Easthampton’s Chicoine Farm’s beef patties, and don’t skip the fries. We’re particularly fond of the buffalo blue fries, a basket of hand-cut spuds tossed with garlic, buffalo sauce, and blue cheese. Next, you could devour a scoop of something sweet from Herrell’s Ice Cream, down a cold glass of Abandoned Building Hydra Pale Ale from Ye Ol’ Watering Hole, or both. Herrell’s is a landmark spot with an ever-changing list of flavors. Definitely get homemade fudge on top. If beer is more your style of dessert, head to Ye Ol’ Watering Hole on Pleasant Street for a pint and a game of pool. The legendary dive bar also houses an antique beer can museum—you can check out all 4,000 cans free of charge. Wind down (and perhaps reflect on your idyllic Western Mass. day trip) in style with a nightcap at Tunnel Bar. True to its name, you’ll find the martini bar inside an 1896 train station tunnel once used by pedestrians. The space, situated underneath Northampton’s Union Station, is long and narrow, exhibiting exposed stonework and arched ceilings. It has a sizable selection of craft cocktails and martinis, plus some tantalizing desseritinis for less than $12. If only your tabs in Boston could run this low.